Midway Companies recently unveiled plans for CityCentre, its 1.8-million-sq.-ft. mixed-use project in Houston featuring 650 residential units, 400,000 square feet of retail, restaurants and entertainment, a 144,000-sq.-ft. urban Life Time Athletic fitness facility and 425,000 square feet of Class A office space. CityCentre is spread across 37 acres at the intersection of Interstate 10W and Beltway 8 (Sam Houston Parkway) in the Memorial area of West Houston. When complete in 2009, approximately 1,500 people will occupy the project’s residential section, which includes 370 multifamily residential units, 250 urban apartment lofts, 35 brownstones and 22 condominium-style penthouse residences atop a 245-room luxury hotel. “We looked at 27 good mixed-use projects around the country to get a firsthand look at the subtle details, nuances and spatial relationships that are woven into the design of every great project, Brad Freels, chairman and CEO of Midway Companies, tells MHN. 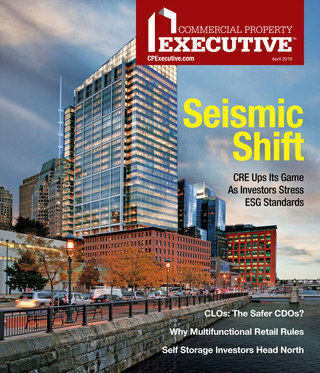 “We have tried to do everything on a reasonable scale.” All CityCentre buildings are designed according to Leadership in Energy and Environmental Design (LEED) standards, but Midway did not apply for LEED certification because “its too expensive and since we plan to manage the project we were more interested in the benefits of green building than the certification itself,” says Freels. The last Class A apartment project to be built in this zip code, which happens to be the richest in the state of Texas, was in 1974. 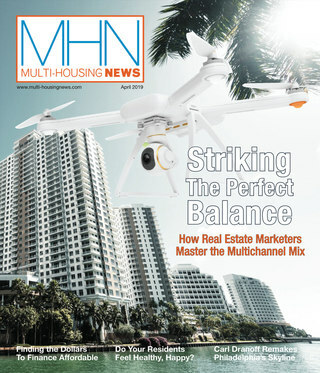 “So there is a lot of demand for the multifamily product,” Paul Buchanan, president of Chancellor Property, tells MHN. Chancellor is the co-developer of CityCentre Lofts and will serve as manager of the residential loft units upon their completion. “In addition, the project is located in a very good school district and that is also a big draw. Two of the best public schools in Texas are in this zip code.” CityCentre is an infill project, which is being built over what used to be an enclosed regional mall. The mall was demolished with the exclusion of three existing parking garages. == For a project as large as the CityCentre with several product types, structuring the financing was not easy, says Buchanan. “We got financing two years ago, so we were lucky in that sense. Having said that, financing is always available for a good project, if the developer is able to articulate exactly what he or she is looking for in a project,” he adds. Freels adds, “We have a different partner for every product in this project and it was a challenge to bring all those agreements together. But in the long term it is worth the effort.”This article first appeared on www.multihousingnews.com, affiliated with Multi-Housing News magazine.